Today happens to be my grand son’s birthday. 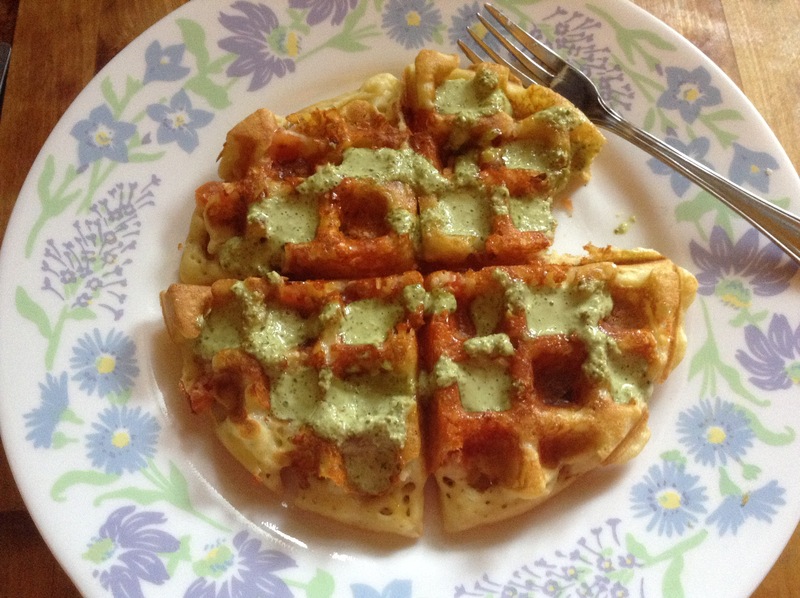 His one request last night was – “Please make waffles from scratch” This is an old recipe that I have been making for years. Everyone in the family loves it with melted butter and syrup, but personally I like it savoury, so I added finely chopped tomatoes, onion flakes and cheese. Once it was done, I drizzled it with the Peruvian Aji Sauce I had posted last week! !Totally yumcious!! Mix the first three liquids together. In another bowl, sift together the flour, salt, baking powder and baking soda together. Using a whisk, beat in the liquid into the dry ingredients. Whisk lightly for 1 minute or so. Do not over whisk as the waffle tends to get rubbery. Let it sit for 10 minutes. Meanwhile, heat up the waffle maker. 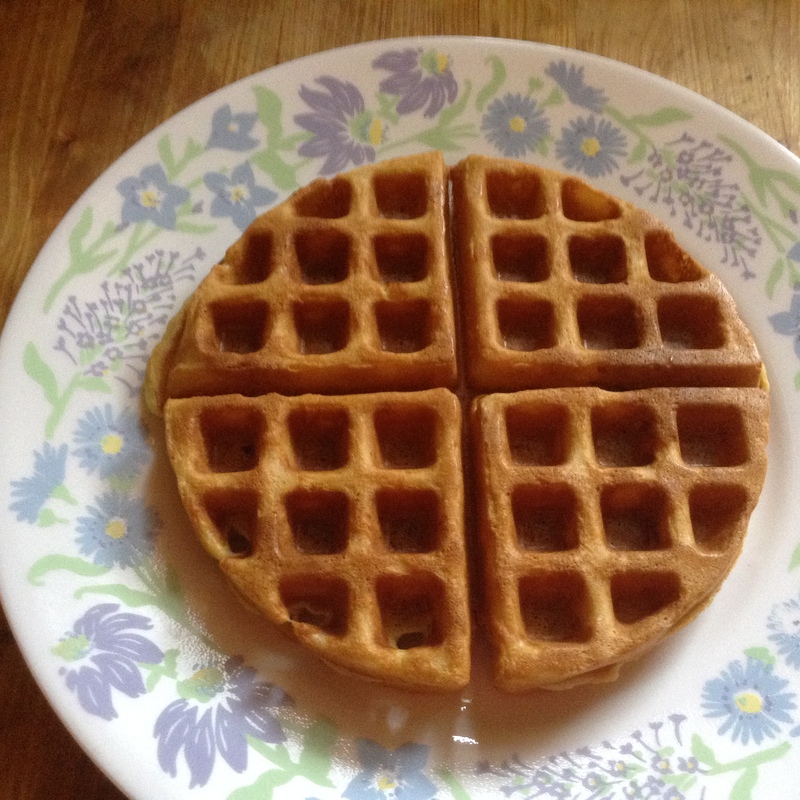 When ready, pour in the liquid waffle and cover and cook. Whatever your imagination can take you to!! Love cooking,reading,gardening,listening to music.Have a great zest for life! I do not balk at changes that need to be made to keep me positive. I have an upbeat view of life and take disappointments as experiences and I move on! This entry was posted in Buttermilk, Canola oil, Cheese, Cilantro leaves, Egg, Unbleached flour and tagged Buttermilk, Canola oil, Unbleach flour. Bookmark the permalink.